A regular timber survey is vital for the industry in a number of ways. Firstly, it allows business owners to ascertain future trends in the timber industry and potential issues that may affect supply and demand. Secondly, it is vital for investors, who may consider re-aligning their financial investments according to the results of such a report. Each year the latest survey gives each audience the chance to analyse trends and progress for the previous year and assess potential directions for the year ahead, adjusting their plans, investments and focuses accordingly. So what is the latest state of play in the timber industry? The latest survey covers the results of 2012 and it is a comprehensive industry-wide analysis. The results show that prices remained steady in 2012, despite a slow reduction in average timber use over the last four years of 8pc. This could be due to a variety of factors, including economic constraints and reduced buyer demand, increasing regulatory and environmental impacts forcing producers to seek alternative building materials and to reduce waste and also a desire to recycle more. In fact, the latter point is borne out by a figure that shows timber repairs and recycling up by 40pc, which represents a potential step-change in the industry. Whether or not this is customer led, business led or government led or potentially a mix of all of these is yet to be fully ascertained, but it is certain that customers increasingly want to see and buy ‘greener’ solutions. Businesses are responding by boosting their CSR and green marketing efforts, and the government is firming up legislation around recycling, environmental management and business waste reduction. Figures for timber production have fallen to a turnover of £395 million for the industry as a whole. Alongside this, the employment figures have slightly reduced, which is to be expected. This could be due to a contracting market during the recession since the 2008 credit crunch, which has seen some businesses forced to lay off staff or operate their workforce with more temporary and flexible models to manage overheads. The UK pallet industry is experiencing strong growth in demand, particularly for pallet solutions which are free from mould growth when the customer receives them, such as heat treated pallets or chemically protected pallets. This requires the timber to have a moisture content of 20pc or less, which must then be maintained. 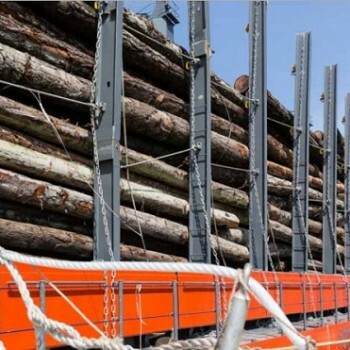 It offers a significant challenge to the timber industry. These products are currently made using green timber, which is then dried out post-assembly to achieve a nominal average moisture content of 22pc. However, the processes involved are not always strictly measurable and will vary, so the level of resulting moisture will vary too. Additionally, there is currently no industry-standard approach to measuring pallet moisture, which means that it cannot currently be quantified accurately or guaranteed to the customer. The challenge is to be able to identify and quantity each source variation, and then reliably minimise it to a measured level of moisture presence that can be quality-assured for the customer. This will only be achievable if manufacturers can devise systems that measure the products’ moisture content in a technologically advanced way that provides robust statistical evidence. However, manufacture is just the first stage, and distributors also need to develop means of keeping pallet stock in a clean and dry environment. And then the customer must also do the same, particularly if a long supply and distribution chain is being employed.